Your camisole size is your bra size. 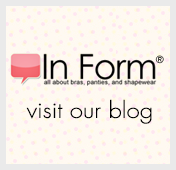 Are you looking for a garment that’ll provide additional bust support without that annoying underwire poke? This silky-smooth, upper-body shaper not only delivers exceptional, natural-looking lift, it does so using wires that are so comfortable you’ll forget they’re there. How? Incorporating the patented Wonderful U™ design, its flat wires are encased in fabric covers attached to the bra band in a way that allows them to float. And, instead of using a rigid center gore – that piece of fabric between the two cups – as the wires’ anchor, it uses the bra band. Freed from its anchoring job, the center gore is flexible. This combination of flat, floating wires and a flexible center gore allows the wires to adapt to your body’s unique shape. And, when you twist, bend, and turn throughout the day, the wires adjust to your movements so you don’t feel that awful poke in your ribs or under your arms. Choose this cami to support your bust and shape your back, midriff, tummy, & waist. Body: 75% Nylon, 25% Elastane/Spandex; Spacer: 64.5% Nylon, 35.5% Elastane/Spandex.